Brick residents – primarily those from the Greenbriar community – whose homes were flooded during the August deluge that left more than 100 homes uninhabitable, received mixed news from the federal government this week. Township officials said FEMA has denied New Jersey’s request for federal disaster funding that could have provided grants similar to those received by victims of Superstorm Sandy to rebuild their homes. Mayor John Ducey said Trenton received word recently that the state’s application had been turned down. “We’re hoping that the state appeals that, and we’re working on it, but the federal government said no to any grants in the form of aid,” Ducey said. Securing disaster aid for such a small number of homes damaged in a weather event was largely considered a long shot. Officials at the time of the flood said the federal government’s formula takes into account the amount of public infrastructure damaged to calculate aid worthiness. In Brick’s case, there was little in the way of damage to roads and utilities. New Jersey packaged together floods in Brick and Passaic County over the course of several days in its application. 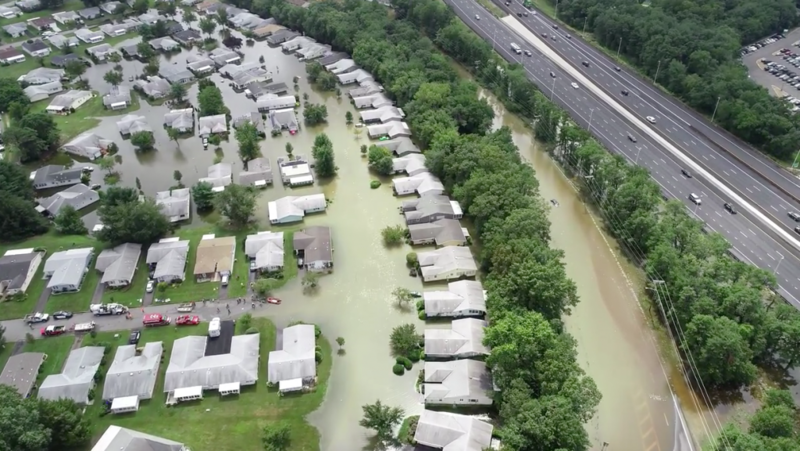 Though no grants will be provided, federal officials have confirmed that Brick (and North Jersey) flood victims will have the opportunity to apply for low-interest Small Business Administration loans to assist in recovery. The SBA will open an office on Friday at the Greenbriar club house and remain on site until Nov. 2. Though the office is located in Greenbriar, any resident who was affected by the storm can apply for loans. Homes on New York Avenue, Paramount Way and Jaywood Manor, for example, were also affected by the same rain event. “They’re coming here to set up a satellite office in our town since we were the most-affected by the storm,” said Ducey. The Brick office will be the only SBA satellite office in the state. The SBA is offering loans at approximately 1 percent interest, Ducey said.